This page determines how country lists will appear in forms that readers fill in, for example when signing up for an email newsletter. It also enables you to create country lists in different languages. 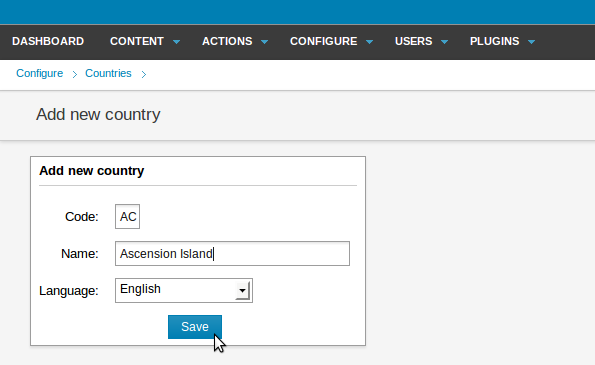 To see the list of country names in the default language, click Configure on the main navigation menu, then Countries on the sub-menu. The Countries page shows an alphabetical list of countries, with the language they are displayed in, and a two-letter ISO 3166-1 country code for each name. Click the Language drop-down menu, then the Search button, to display country names in the specified language only. 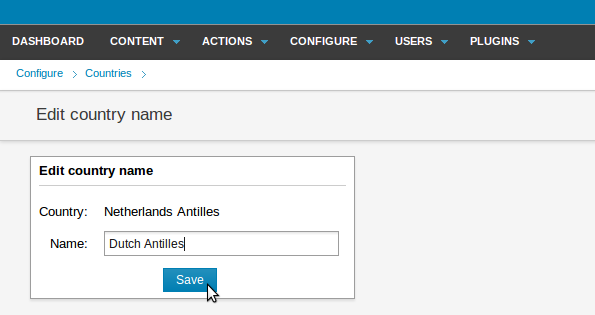 Click on the name of a country to edit it, then click the Save button to return to the country list. To translate a specific country name into a particular language, click the Translate link in that country's row of the list. 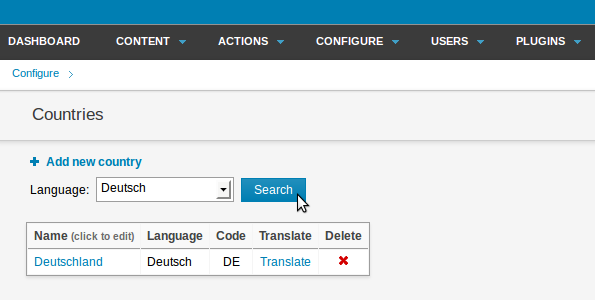 In the Translate country name page which opens, select the target Language from the drop-down menu, and enter the translation into the Name field. Then click the Save button. To find your translated country names later, use the drop-down Language menu at the top of the Countries page to select the language you are interested in, and then click the Search button. The search results, if any, will be listed below. 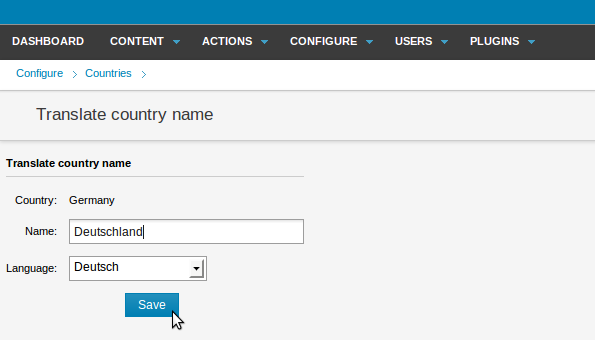 Newscoop's list includes almost all known countries by default, but if a new country is founded, or you have deleted a country and need to put it back, you can do this by clicking on the Add new country link next to the blue plus icon. You will be prompted to enter the country's two-letter ISO 3166-1 code, name and language. 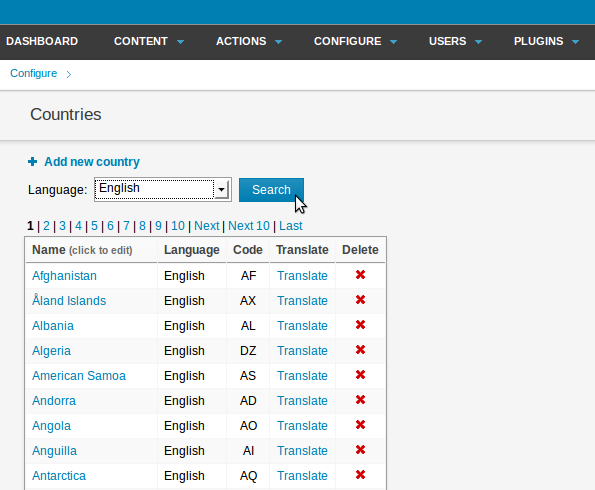 The drop-down menu will contain as many languages as you have defined in Newscoop's Languages page, found on the Configure menu. Note that the language you are asked to specify is the language in which you are entering a country's name, not the language spoken in the country.